The term "Hiding in Plain Sight" is used frequently to describe a person or thing that goes unnoticed even when viewed directly. Upon the landing of Christopher Columbus on the Caribbean Island of Hispaniola in 1492 he reported that curiously the natives could not see the Nina, the Pinta and the Santa Maria. 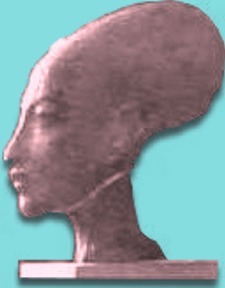 These vessels apparently were to strange to the brains of the primitive inhabitants to even realize their existence. it wasn't until the tribal elders studied disturbances in the water that they were ultimately able to grasp the presence of the ships. This phenomenon is with us today and many are stricken by it when exposed to artifacts from our Ancient Past. Take Salimeni's "Glorification of the Eucharist" (circa 1600 a.d.) which hangs in the Church of Lorenzo in San Pietro for example. 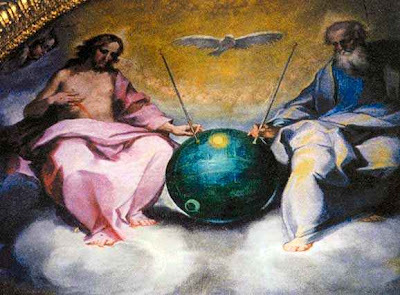 Art experts and religious scholars are vehement that the image of Jesus and GOD the FATHER holding the antennas of a Satellite or Reconnai ssance Drone are in fact perfectly normal and easily explained. 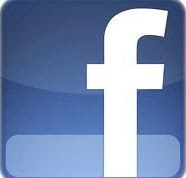 Regardless of the hysterical blindness of these individuals many technological features can be observed. The painter went to great lengths to record details that would have to been taken from a reference object. Painters of that era typically used models and rarely painted from imagination or memory. Seams in the metal can be clearly seen suggesting a method of fabrication. This has been rebuffed, explained as a graph used for Naval navigation at the time. The antenna are being held by GOD and Jesus indicating that a higher power is receiving information. 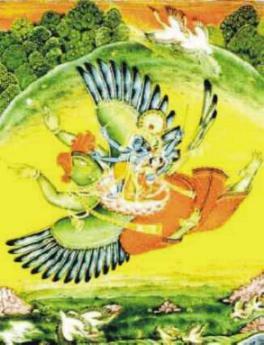 The object is clearly in flight denoted by the clouds the Deities are setting on and the bird in flight over the object. 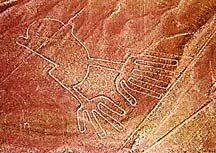 Experts say the bird symbolizes the Holy Spirit and completes the Holy Trinity. Grommets are seen where the antenna extend from the Orb. 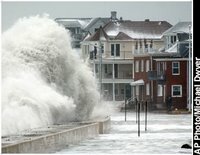 This would be needed to keep out the elements from sensitive systems inside. 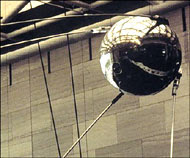 The antenna are described by critics as simply pencils that GOD and Christ are using to write their plans upon the Earth. At the bottom of the Orb near Jesus' leg is a circular protrusion that resembles a powerful zoom lens. 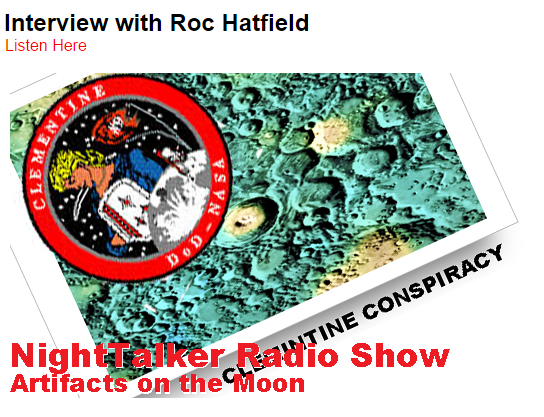 The detractors explain this is a representation of the moon. The Sun can be seen reflecting indicating that the Orb is outside in the daylight and that the surface is very smooth and metallic like. It is important to note that in 1600 a.d. holding an opinion other than that ordained by the Church could result in a very painful death. If the Painter of this amazing scene was looking at an actual artifact he would have had to paint it in the context of a Religious setting. The Church would have built a fire under him had he not. Regardless of the dangers faced by Renaissance painters many ventured to express their curiosity and record what they perceived as divine objects. Advanced Aircraft are painted subtlety into many Renaissance paintings. These Avant Garde Artists were very determined to record the sightings of strange craft in the sky despite the dangers. 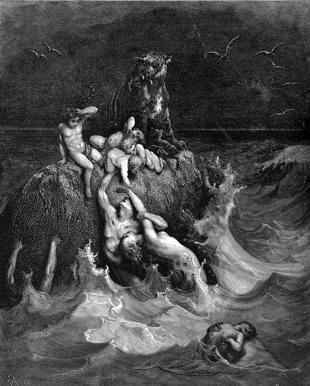 Plato described Atlantis as a great lost world that was full of wonderfully advanced people. A world that slipped beneath the ocean waves thousands of years before his own time. Plato lived in Ancient Greece over 2400 years ago and enjoyed a loyal audience of readers. 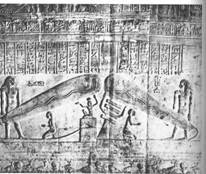 His reporting of the details of Atlantis are at best the retelling of much older stories that would have been in circulation during his lifetime. 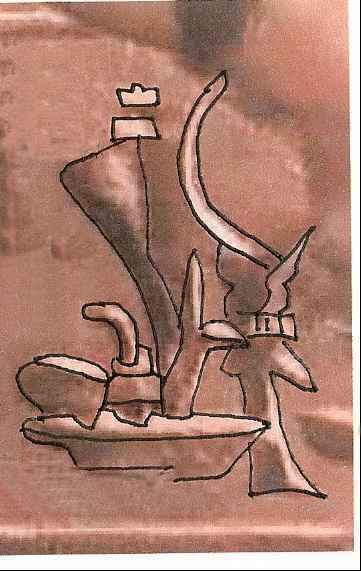 Today we know that the Atlantis Myth is hard wired into the fabric of virtually all Ancient civilizations. The Atlantis Myth and the Flood Myths are most likely one and the same. 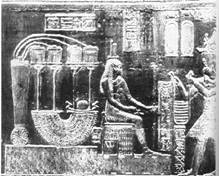 Both Ancient myths tell of a time when a very advanced civilization lived on the Earth and possessed very advanced technology. The demise of these enlightened people comes in a single moment as their world sinks under the sea and water devours everything they ever knew. Just off the shore of western Cuba Paulina Zelitzky a former Russian Oceanic expert has discovered the remains of an Ancient City some 2000 feet below the waves. T he recent discovery has yielded a number of alarming facts. The city is huge with many Pyramid shaped temples, roads and other smaller buildings. The site encompasses about 7.7 square miles and is covered with buildings made from huge stones consistent with other architecture found in other newly emerging city sized ruins. Archaeologists have stated that the earliest date that this city was last above water would have been 13,000 to 15,000 years ago. Recent satellite photos reveal a network of what appear to be roads that extend from the location of the Ancient City all the way to the Bah amas and the Florida Keys. Could this whole area have once been a major metropolitan city? Another newly discovered Ancient City lies off the coast of India in the Gulf of Cambay. Fishermen noticed the ruins emerge when the waves from the deadly December 2004 Tsunami pulled back lowering sea levels. The city rests in 120 feet of water and is very expansive covering 5 squa re miles. 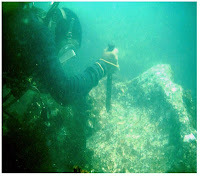 Large buildings featuring huge foundation stones have been seen by divers exploring the ruins. 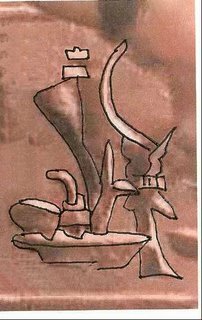 Reports from early dating of bones and artifacts found at the site date the city at 9000 years old. This would pre-date the oldest known cities by 4000 years. Scientists exclaim; "The whole model of the origins of civilization will have to be remade from scratch." These archaeological findings will require many years of exhaustive study to determine who built and lived in them. 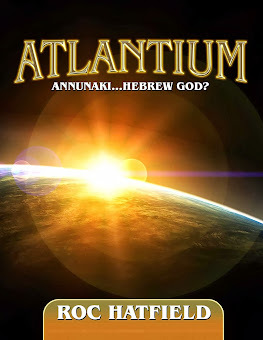 But one fact has already made itself very clear, the myth of Atlantis is a metaphor for a Global civilization that most likely existed prior to some Earth changing cataclysm. These recently discovered cities are perhaps just a sampling of what was lost before the last time the world ended. Could the fact that so many large cities are being found intact be a grave and dire warning to us today? 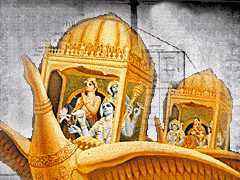 Ancient Indi an texts tell of a world scale war that sounds eerily similar to a nuclear holocaust. Scientists have noted that a layer of burned Earth is present in almost all archaeological dig sites from Iceland to Africa. Was the Ancient world and those that lived in it witness to a horrific event that changed the world forever? Time travel has been the subject of hundreds of Sci-Fi novels, Movies and Television serials for the last fifty years. The heros of these Time Traveling escapades are usually faced with dilemmas and paradoxes that create brain twisting stories. One stalwart element of every good Time Travel tale is the notion that you must not influence anyone or anything because it will have tremendous repercussions in the future. Today we call these repercussions "The Butterfly Effect". A concept that describes how a Butterfly can influence a chain of events starting in a lonely corner of the forest that can ultimately have a global effect. Physicists and Scientist studying quantum mechanics believe Time Travel is possible and does not violate any Laws of Physics. Just recently a few scientists on the leading edge of Time related research have discovered unique evidence of Time Travel in the laboratory. 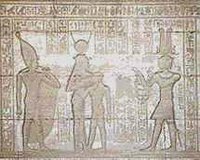 Is it possible that our Ancient Super Tech world possessed Time Travel Technology? A large body of artefactual evidence is being discovered around the world that would at least suggest the possibility that our Ancient Fore Fathers were moving around in time. One thing is clear, either our current technological abilities for dating artifacts is greatly flawed, or someone has been moving around in time and leaving very amazing artifacts in Ancient history like a Time Traveling Easter Egg hunt. 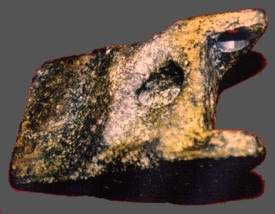 The "Aluminum Wedge of Aiud" was found deep in the Earth among pre-historic animal bones. 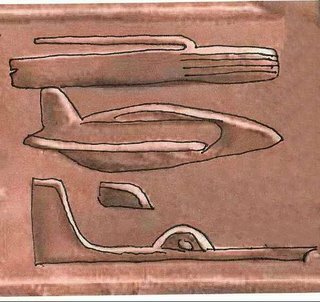 The wedge of mostly aluminum is highly machined and could be 20,000 years old. 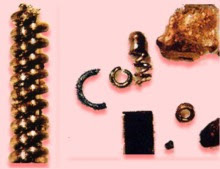 A sample of the metal was examined and it was found to be made of a number of exotic and strategic metals. Aluminum is a difficult metal to mine and separate from the host stone, the process wasn't commercially available until the late 1800's. Additionally the blending of many different metals to create an alloy is a very recent technology. Where did this object come from? An aerospace engineer was asked to speculate what it might be and he concluded that it was possibly a landing pad at the end of a strut for a flying vehicle. "The Chinese Communist Party Collapses" these are words written neatly on the face of a giant stone found rece ntly in a river valley in the Guizhou province on mainland China. The discovery of the 100 ton stone has been reported by every major Chinese news outlet and has been examined by that country's best experts. The stone has been determined to be authentic and bears no evidence of tool marks. The word "collapses" is hidden from photos and TV images shown in China by the Communist Government. Scientist have dated the stone and it is at least 270 million years old. 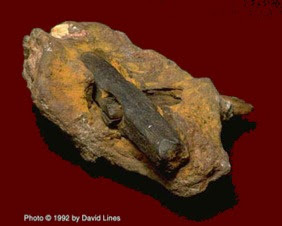 A sophisticated hammer head with a portion of its wood handle still attached sits encased in solid rock on e xhibit in a London Museum. Upon initial inspection it seems perfectly modern maybe 50 years old. The hammer is dated to at least 100 million years old. The wood handle is in fact petrified and has begun to turn into coal. The metal has been examined by the leading metallurgists in the world and it was found to be pure Iron. It has amazing strength and was forged using a very advanced process that eliminated all impurities from the metal. This process exceeds the quality of most iron in use today. The remains of high tech metal forgings in the shape of springs or screws have been found in Russia. 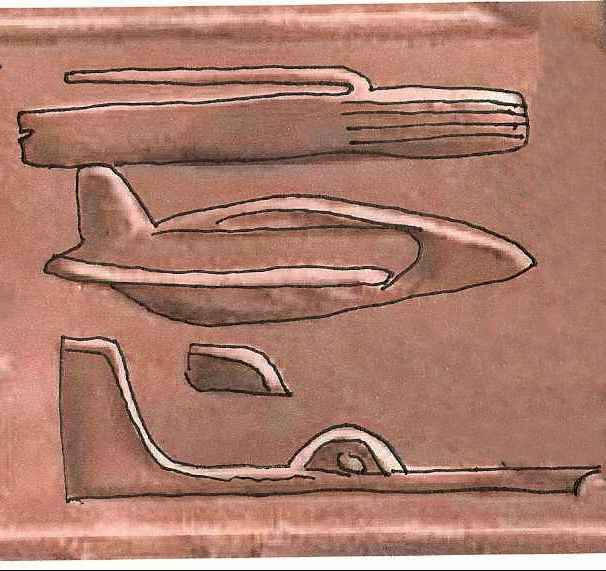 These highly machined and accurate metal workings are believed to be 20 to 100 thousand years old. These delicate and precisely made metal shapes would have been nearly impossible to manufacture before World War II. Could all of these artifacts have been left by a Time Traveling civilization? These are just a few of the logic defying ancient artifacts that are being discovered everyday. The Earth is giving up amazing evidence of articles dropped or lost by someone a long long time ago. 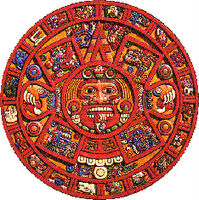 It is believed that our Ancient ancestors possessed incredible technology and understood the mysteries of the universe. Today science is just beginning to explore the concepts of Time Travel. Could Ancient Time explorers have traveled back in time 100 million years on an expedition and dropped a hammer, and now it sets in a London Museum? Modern construction techniques are but nothing short of amazing. Around the world structures that rise to breathtaking heights of over 100 stories are becoming commonplace. Massive machines from Nuclear power plants to mile long Dams are being constructed at break neck speed. A common thread running through all of these projects is the ability to lift gargantuan weight to the top of high rise buildings or onto the factory floor. One recent project required the lifting of a 110 ton reactor onto a specially designed pad at the bottom of a pit. This 220,000 pound monstrosity was one of the heaviest objects moved to date. 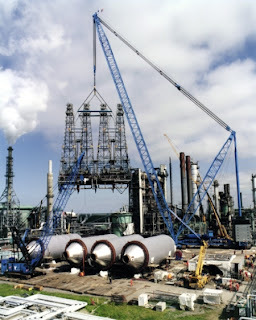 A crane that took 20 semi-truck loads of separate pieces had to be erected on site. Once this massive behemoth was assembled only then could the huge reactor be set into place. Truly an amazing achievement. The Ancient builders of the Pyramids and many other still standing structures would have had no use for such a feeble crane. The Pyramids at Geza have blocks of limestone that weigh up to 400,000 pounds and had to be lifted to points 500 feet above the dessert floor. Even more massive stone blocks have been incorporated into still standing ancient structures. 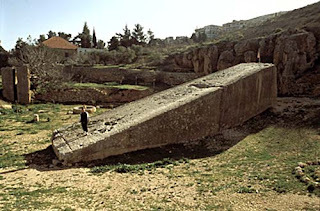 A single block of limestone weighing an estimated 2.4 million pounds sets perfectly hewn and ready to be moved at a quarry near Baalbek in Lebanon. Two near identical stones sit as part of the foundation of the Pre-Roman "Temple of Jupiter". Quarrying, carving, cutting and moving immense stones was obviously no problem for Ancient Builders. Transporting these stones for miles from where they were cut was no less of a feat. It is unknown how these mystifying achievements were accomplished. Perhaps a greater mystery is why modern Archaeologists, Egyptologis ts and Scientists stand behind logic defying explanations of how the Ancients built these timeless structures. The hypothesis runs the gamete from massive slave power to log sleds and Olive Oil. The Pyramids at Giza were constructed using ramps of sand hundreds of feet high and miles long, 400,000 pound stones were pulled atop wooden sleds lubricated with fresh squeezed olive oil, and this was done over and over again to the tune of 2 million times. All of this of course taking 20 generations to complete. Drawings of this process appear in text books around the world looking like some schematic drawn by Comic Artist Rube Goldberg. 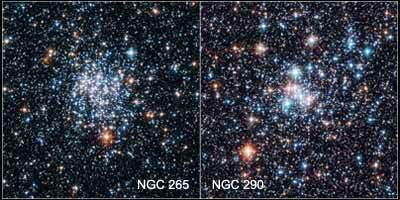 Perhaps evidence Ancient and recent points to an alternative explanation. 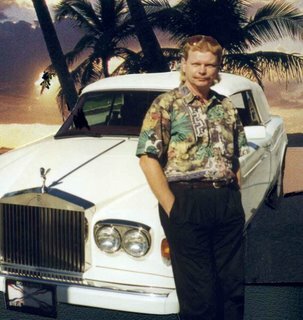 Enter Ed Leedskalnin, a five foot two inch Latvian immigrant who single handily built a castle from coral stone. The Coral Castle is now a major tourist attraction located in Homestead Florida just south o f Miami. In 1940 Ed built his amazing Coral Castle from blocks of coral stone that he cut and fashioned into everything from reading chairs that weighed 2 tons, to a 9 ton front door that a child can push open with one finger. All the stones in the structure have a combined weight of over 1,100 tons. He did all of this unbelievable work totally alone and without the help of a massive slave army and not one drop of Olive Oil. His Moon block weighed 23 tons and his Jupiter block weighed closer to 30 tons. It is a complete mystery how Ed built this Castle all by himself. 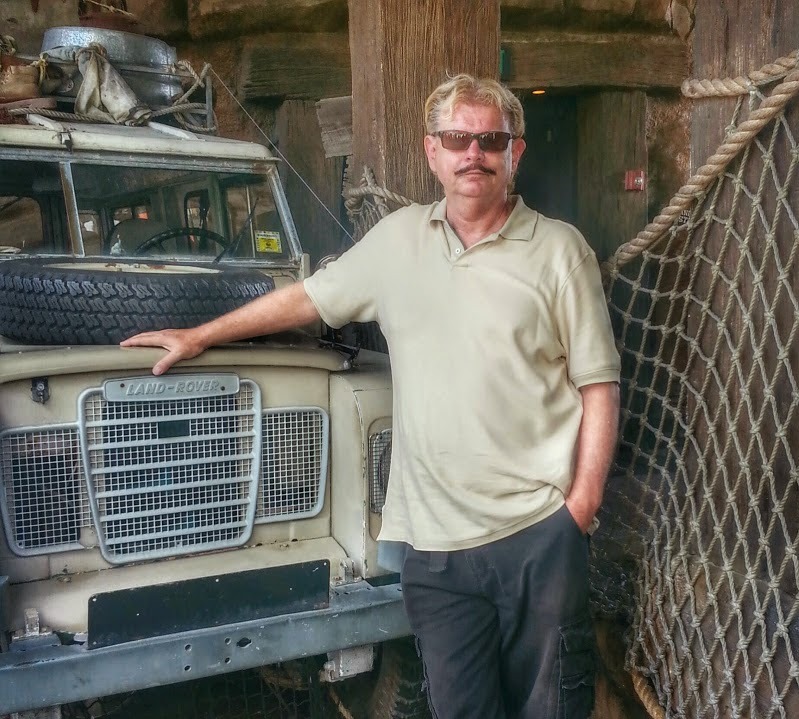 When he was asked how he did it, he said that he knew the secrets of the Ancient Egyptians. Ed died in 1952 after being strong armed by engineers from the U.S. Government. The Government was unable to get anything out of Leedskalnin before his death. What was his secret? 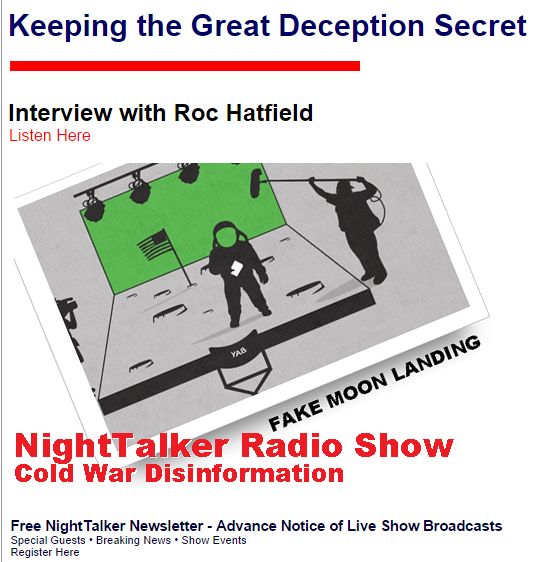 A number of rumors started by locals claiming to have spied on him at night when he worked claimed seeing him move huge blocks of stone around like they were balloons. A number of clues left behind after Ed's death including a detailed book he wrote on magnetism points to a knowledge of Anti gravity. Ed made his own electronic equipment and electric generator. 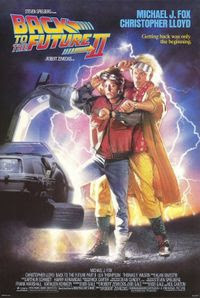 It seems that Ed was creating an electromagnetic field that changed the electro-atomical properties of the stones he was movin g. In his book he declared that everything had electrical magnetic properties and the magnetic properties in anything could be lined up to repel the Earth's magnetic pull that we call gravity. Ed was able to achieve this using very basic homemade equipment. At his work shop he used an electric generator that he made, a tripod made from three telephone poles, a radio tuner and a coil of copper wire hung from the top of his tripod of telephone poles. With this primitive menagerie he was able to lift and transport over 2,200,000 pounds of coral stone all by himself. 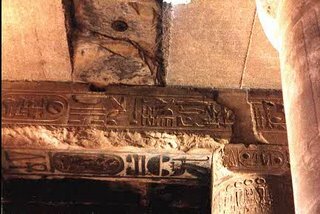 Hieroglyphic panels at the "Temple of Hathor" clearly depict a device being used by Ancient builders that could have been the ancient equivalent of Ed Leedskalnins' own setup. One panel shows a vacuum tube with a conduct or emitter inside and the next panel looks very representative of a power station. Could the Ancient Egyptians possessed the same knowledge as our modern stone builder Ed Leedskalnin?